It is an early spring in Napa Valley with trees in bloom and an early bud break. 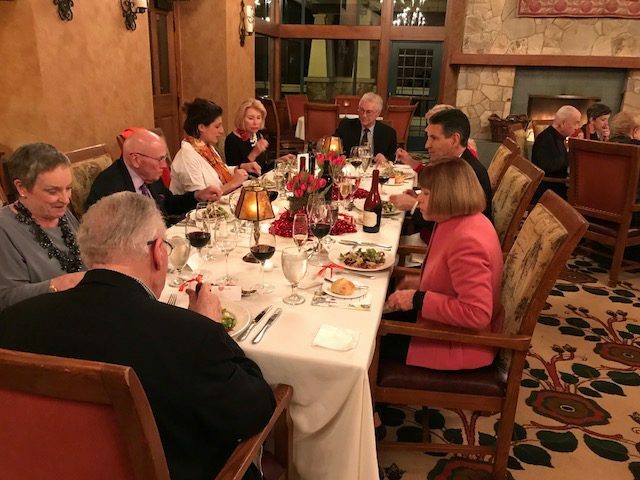 A beautiful evening on Friday, February 9, with 70 degree temperatures greeted Napa Branch members at Napa Valley Country Club for our annual Valentine dinner. 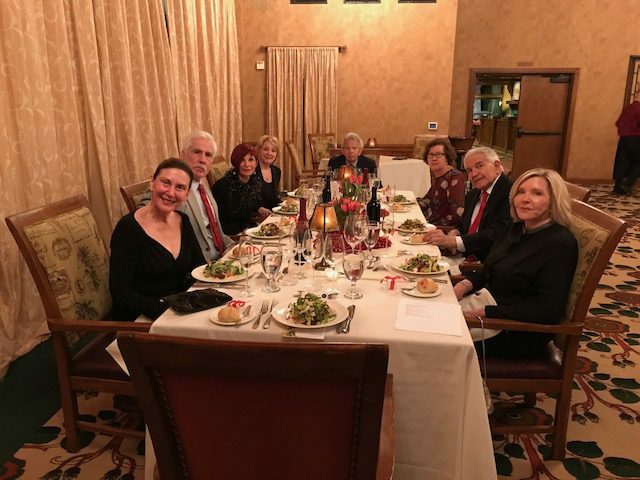 Our tables were beautifully decorated for the occasion by members Fran Grasso and Deborah Robertson with a wine chocolate trufﬂe for each guest. Our evening began with a reception with passed Hors d’oeuvres featuring Hot Smoked Salmon on Fingerling Potato, Creme Fraiche and Chives; Mushroom Arancini with Herb Aioli; Steak Tartare on toasted Crostini with Capers and Pickled Onions; paired with Schramsberg Blanc de Blanc and 2014 Lynmar Chardonnay. Dinner followed beginning with a roasted Beet Salad, Winter Chicories, Goat Cheese, Shaved Pecans and Sherry Vinaigrette paired with 2014 Lynmar Chardonnay. Our entree was a choice of Roasted Halibut with Fennel Puree, Foraged Mushrooms, Turnip and Lemon or Grilled Filet Mignon, Potato Puree, Braised Greens, Bacon and Red Wine Jus paired with 2015 Bel Glos Las Alturas Pinot Noir and 2005 Whitehall Lane Reserve Cabernet Sauvignon. And ﬁnally for dessert Chocolate Semmifreddo, Chantilly Cream and Chocolate Biscotti. 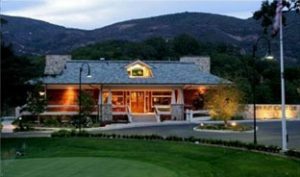 The dinner was fantastic and the service by the Country Club staff was outstanding. This was a dinner perfect for the occasion with lots of hugs and kisses going on throughout the evening along with great wine and food.